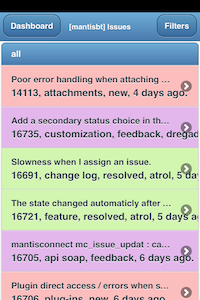 MantisTouch provides a mobile optimized user interface for iPhone, Android, and Windows Phone. MantisTouch is developed and maintained by Victor Boctor. Victor is a member of MantisBT core team since 2000. 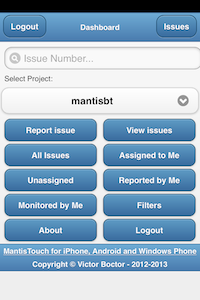 As a web app, MantisTouch provides a mobile optimized experience for all users of your MantisBT instance. 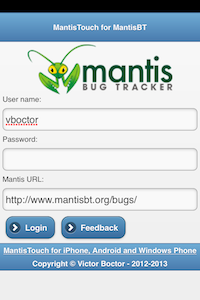 MantisBT plugin system allows extension of MantisBT through both officially maintained and third party plug-ins. Browse the plugin directory to learn more about each plugin.